This will be the first time Japan will be hosting a rugby World Cup with the tournament scheduled to be played between 20th September and 2nd November across 12 cities including Chofu, Yokohama, Fukuroi, Higashiosaka, Fukuoka, Toyota, Sapporo, Oita, Kumamoto, Kobe, Kumagaya and Kamaishi. 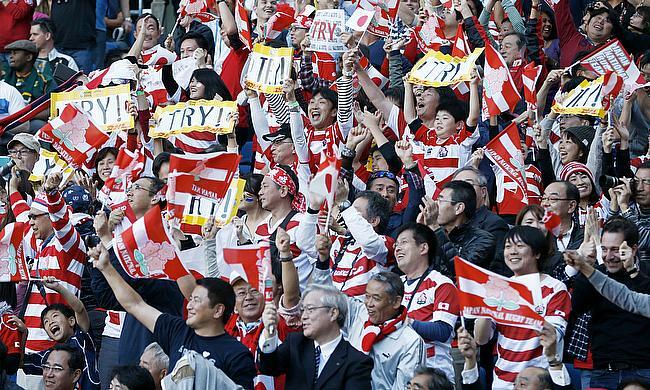 CEO of the Rugby World Cup 2019 Organizing Committee Akira Shimazu said the response reflects the excitement in the country in hosting the showpiece event. "We are absolutely delighted with the incredible response to our Volunteer Program 'Team No-Side,'" he said. World Rugby Chairman Bill Beaumont is pleased with the response and is confident that the 2019 World Cup will be a successful outing. "Volunteers are the beating heart of Rugby World Cup and this incredible demand to be a Japan 2019 volunteer from people the length and breadth of the nation demonstrates the passion not just to be a part of the tournament, but to proudly showcase the very best of Japanese culture and hospitality."